We just received a late-breaking press release from the folks at Tellale announcing that their irreverent poker series will be making its iOS debut tonight with the iPhone/iPad release of Poker Night 2. 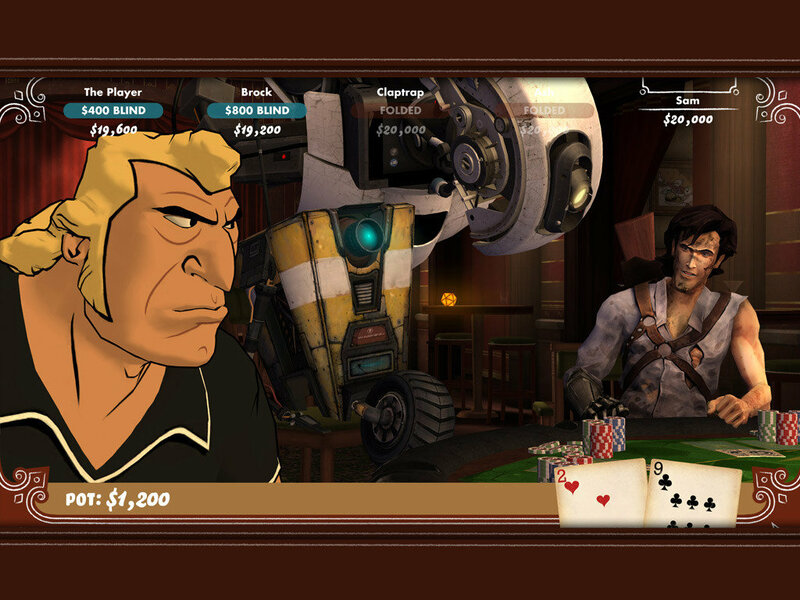 Released last month on PC and consoles this unusual poker game puts you in the fifth seat at the wise-cracking and high-stakes table against a number of famous (and infamous) characters from video games and pop culture. Brock Samson from Adult Swim’s animated series The Venture Bros.
Ash Williams from the cult classic movie Army of Darkness. Groovy! Choose from either Texas Hold ‘Em or Omaha! and let the chips, cards and insults fly as you shuffle up and deal. Players at the table will be assured of a fair hand dealt under the unblinking gaze of a Genetic Lifeform and Disk Operating System from Aperture Science research facilities. Otherwise known as GLaDOS from the Portal and Portal 2 games by Valve, Inc.! I’ve been dying to check out this series for a while now, so I’m excited to see it finally arriving on iOS. Note that links above will go live at 11pm (EST) on Wednesday, May 22nd.